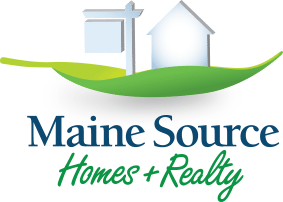 Here at Maine Source Homes & Realty, we like to say we “wear three hats”—we help folks sell homes, build homes, and buy homes. While we’re wearing that third “hat,” people ask us, “What is the first-time home buyer process in Maine?” Here’s a clear, step-by-step look at it, plus suggested resources at the end. The first step to take is to start saving money for your down-payment. 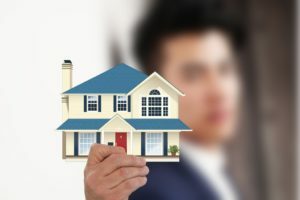 Purchasing your dream home requires a mortgage, and you can’t secure one without a down payment of some size (which will depend on the terms of your mortgage). Next, it’s time to meet with your lender, to get pre-approved for a mortgage. Your lender will review your financial situation in-depth, and use the review to determine whether they’re willing to offer you a loan, plus the size of the monthly mortgage payment you can comfortably afford. This will allow you to target homes in a specific price range. Get an Agent—Have Some Fun! Do all this (for you) for FREE-because the seller pays the sales commission in most cases. Make sure you discuss this with your agent before signing any agreement. Once you’ve identified your dream home, you’ll need to schedule a walk-through and later make an offer to the seller. If you want to “Make them an offer they can’t refuse,” you should consult with your agent regarding this, and also determine who will conduct a professional home inspection. At this point, your lender will request to conduct a home appraisal, so they can confirm the house is a sound investment. Once this is completed—and assuming there are no problems—you’re ready to head to closing. Closing is the meeting that brings together you, the seller, your mortgage representative, and others. During this get-together, you will sign all the paperwork, get the keys to your new house, and pay such things as the down-payment for your loan and closing costs.